We hope to see you at the TEAL Charitable Foundation’s fourth annual fundraiser for refugees, ‘Tears to Smiles’ – Wine & Cheese Reception. The event will be held at the Creekside Community Centre in the Olympic Village on Friday, November 16th from 7:00 pm to 10:00 pm. Tickets are $35 and include wine, cheese and door prizes. To purchase tickets or for more information, please contact the BC TEAL office at admin@bcteal.org or phone (604) 736-6330. In 2011, the TEAL Charitable Foundation made a commitment to raise funds for refugees. Refugee families are often unable to financially support their children who wish to study at the post-secondary level. After three years of fundraising and with BC TEAL’s financial support, the TCF Refugee Award was established. The $100,000 endowment provides for a $3000 annual award to a young refugee student graduating from secondary school and wishing to study at a post-secondary institution in BC. 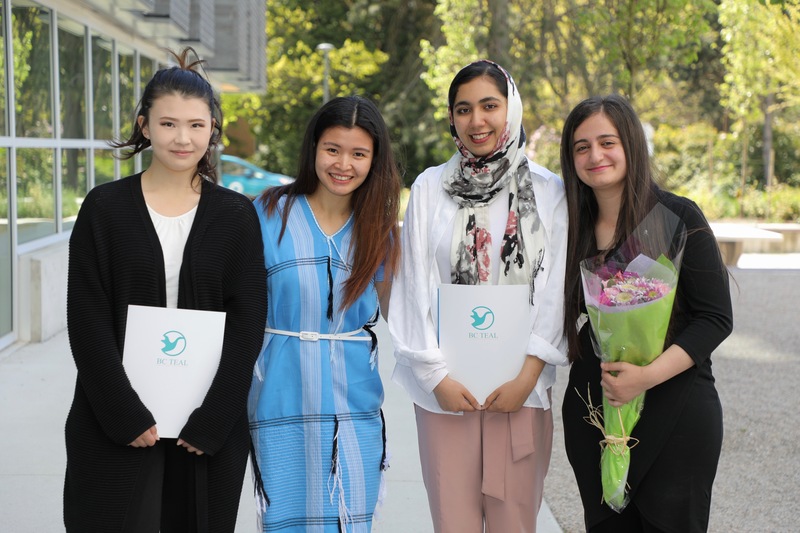 In 2014, the TEAL Charitable Foundation committed once again to fundraising a $100,000 endowment for a second $3000 annual award for a young refugee wishing to study at a post-secondary institution in BC. The second refugee award will be named the Taiga Galli Memorial Refugee Award in memory of Michael and Yuka Galli’s son who passed away at the age of six weeks in October 2013.